MY NEW E-BOOK IS ALMOST READY! "Your Brilliant Year: Take the Leap and Launch Your Dreams for a Freedom-Filled 2018!" A wonderful, wisdom-filled PDF eBook collaboration that will be released on January 31st. This is your go-to guide to learn from leading experts around the world - including me – for FREE! fun and freedom-filled 2018, sign up now! Previous fun and exciting things I did you might find of value. 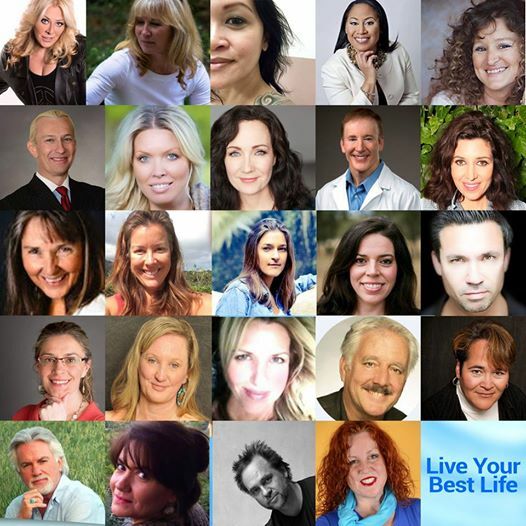 Join 20+ experts who share their wisdom and practices they to make things work in their lives. Learn how to take difficulties and turn them into opportunities in simple steps. essence and wisdom that will enrich our life in a big way. Don’t miss this wonderful opportunity to start living fully and freely! ​It's FREE and it's TRANSFORMATIONAL! ​The fist ever published book I was a part of became Amazon's #1 bestseller!!! My dream of becoming a published author came true with dividends! ​Deep innate LOVE is shared with the world when deeply personal stories are shared with others. Some need the sharing and others need the knowing that they are not alone in what they are experiencing. This book serves everyone by revealing lives filled with EVERYTHING. ​common all at the same time. See how you are connected with the lives of others by getting to know and understand your story through theirs. 100 Voices of Inspiration, Awakening & Empowerment is published! This book is a wonderful collection of stories of women (mostly) from all over the world. You will be moved, inspired, and empowered as you read many stories of people who have awakened to themselves and to their lives. I am certain you will be able to relate to many of them in many ways. I am also certain that this book will help thousands of other women, men, and young adults who are searching for meaning, answers, and direction. Available on Amazon.com or Amazon.ca. ​Enjoy the replay of my interview with Tanya. Come join the adventure of deeper self-awareness on my Facebook page. This event is always going to be there for you if you want to check it out. The post are there for your enjoyment and expansion of self-awareness. All you need to do is go get them. This month is Self-Awareness month here at Woman To Woman. I will post a daily question for you to consider with the intention to help guide you to a deeper level of self-awareness. I'm sure you will find this journey very interesting and revealing. I really hope so because we are going to have a month of great discovery and fun! Go to: https://www.facebook.com/womantowoman7/ to join in.